Syndicated from AthleticManagement.com with permission. Looking for people to help out at home games? For additional funds to travel or purchase new uniforms? Upgrading your support group is often a great solution. For Armijo (Calif.) High School, it ensures there are new volleyballs every year. For Ohio State University, it means upgrades to the locker room. At Allen (Texas) High School, it pays for the end-of-year banquet. And for Florida Southern College, it will fund a trip to Italy this summer. That’s the power of a strong booster club—and the reason many teams are working hard to upgrade theirs. While booster clubs have long been a part of programs, volleyball coaches are finding ways to make them more effective. From high school parent groups to donor-driven entities at the collegiate level, volleyball programs are tapping into the concept in bigger and better ways. 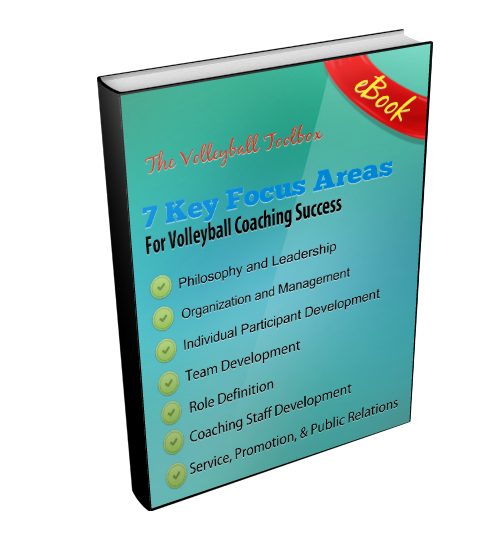 In this article, coaches provide advice for starting or revamping this crucial element of any team’s success. Whether a support group is non-existent or flagging, the first step to building it up is defining its goals. This will vary from team to team, depending on the level of play, the school culture, and what supporters are looking for. At Florida Southern, the program benefits when the relationship between the boosters and the team is strong. This is accomplished through giving perks to donor-members, such as invitations to family weekend events and banquets and exclusive newsletters and updates on the squad’s progress. Ohio State University has been working to reinvigorate its support group. Head Coach Geoffrey Carlston and his staff recently gave the club a name, The Scarlet Spikers, and they have been focusing their efforts on connecting with existing members and recruiting new donors. Beyond the goals and culture of the group, most teams have found it effective to employ a structure. Allen’s club has a president, vice president, secretary, and treasurer, and regularly scheduled meetings allow the coach and the boosters to work together to accomplish objectives. Stephens and her staff created a “Europe” level of membership, where supporters could earmark their donations specifically to fund the trip. And to give credit where credit is due, donors at all levels are recognized on the booster club web page. Ohio State follows a similar model, with levels of membership corresponding to a donation amount. High schools can’t rely solely on donations, so fundraising by the support group is a large part of its purpose. Allen High School’s booster club hosts three tournaments at the middle school, j.v., and varsity levels, taking in money from registration fees, concessions, and ticket sales. In recent years, they’ve also hosted a sand volleyball tournament and a serve-a-thon (see “New Ideas” on page 19). Mounds View is continually looking for new options. “We try to come up with as many different kinds of fundraisers as we can, and then we weed out the ones that don’t give the best return for the time we put in,” says Weko. “I personally don’t like having the girls go door to door, although it can be an effective way to get funds. And some booster clubs don’t require any membership fees. At Armijo, parents joining the group are asked to donate a new volleyball to the program. Head Coach Paige McConlogue says most of the booster funds are generated from concessions at games. Beyond raising funds, boosters can often do much more for a program. From running community service projects to improving the game-time experience, support groups can contribute greatly to the culture of a team. “Our parents take charge of our specials, like middle school night and senior night,” says Gregoriew. “They do activities to get the crowd involved—fun games where fans try to serve the ball into hoops or catch balls into big sweatpants. With all that boosters do, it’s important to remember to thank them. Many coaches ask players to handwrite thank-you notes to members, and they make sure to toast the support group at end-of-season banquets. Stephens also highlights them in her newsletter.